As part of our mission to promote authors, the joy of reading, and to better understand the craft of writing, we’ve paired with the The Norwich Bookstore in Norwich, Vermont to present an ongoing series entitled “3 Questions”. In it, we pose three questions to authors with upcoming visits to the bookstore. Their responses are posted on The Book Jam during the days leading up to their engagement. Our hope is that this exchange will offer insight into their work and will encourage readers to attend these special author events. Today’s post features Sue Halpern. Ms, Halpern is the author of five previous books. Her writing has appeared in The New York Review of Books, The New York Times Magazine, Time, The New Yorker, Parade, Rolling Stone, and Glamour, among others. She has been a Rhodes Scholar and a Guggenheim Fellow and is a scholar in residence at Middlebury College. She lives with her husband, the writer Bill McKibben, and her dog, Pransky, in Ripton, Vermont. Her latest book began as a way for a woman and her pet labradoodle, Pransky, to find something to fill their time with her husband on the road and her daughter out of the house. Halpern and her certified therapy dog began going to a Vermont nursing home once a week to visit with the residents. This endeavor quickly became a meaningful journey into understanding the lives of those whose end is near. Written with warmth, humor, and compassion, A Dog Walks into a Nursing Home, combines a series of anecdotes with Halpern’s own analysis, revealing depths of human nature she hadn’t expected in the face of infirmity, dementia, and death. Ms. Halpern will be reading from A Dog Walks Into A Nursing Home on June 26 at the Norwich Bookstore. This event is free and open to the public. While reservations are not required, these events do fill. Be sure to reserve your seat early by calling 802-649-1114 or email info@norwichbookstore.com. Green Eggs and Ham by Dr. Seuss (1960). This was the first book I ever read by myself, and once I had mastered it, it opened up the whole world of books and reading to me. We had a milkbox in front of our house, and I’d keep it in there so I could climb the big tree in our front yard and take it up there with me. I loved the zaniness, of course, but I think that Dr. Seuss imprinted the idea that language is flexible and fluid, that rhythm matters, that you could create an entire universe in your head and bring it to life on the page. Roget’s Thesaurus. I found this book in the fourth grade and was amazed at how many words there were for the same thing, and that words existed in families and were connected in ways that were not always obvious, and that the precise word could make all the difference in the world. Instead of blue, for instance, beryl, blue-green, cerulean, indigo, navy, royal, sapphire, teal, turquoise and ultramarine, to name a few. This discovery led me to write my first short story that same year, about a guy named Roger Thesorus, who was on his way to an etymology conference. It was a really good story! The Four Quartets by TS Eliot (1968). Whenever I have trouble writing, I open a book of poetry. Eliot is my go-to guy, followed by William Carlos Williams, Auden, and Wallace Stevens. Poetry is clarifying. Every word counts. Poets practice metaphor and simile and concision in an almost athletic way. 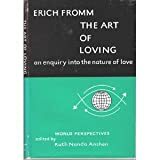 I’ve benefited in both my non-fiction and fiction from reading poetry that is both spare in words and expansive in image and meaning, and I’ve endeavored to bring that discipline to works of prose. I’m not sure I’ve succeeded, but that’s the goal. Can it be tea? I’m caffeine-free. 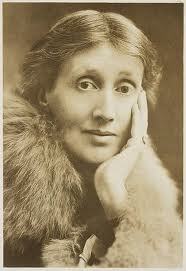 If so, I’d like to have high tea in Bloomsbury with Virginia Woolf. I’d want to ask her about that room of one’s own, and gossip about the members her literary circle (e.g., T.S. Eliot! ), and talk about lyricism and intention in fiction and if the sound of words is as important as the meaning of words, and of course I’d like to talk about our dogs. Far From The Tree:Parents Children and their search for identity by Andrew Solomon (2012); How To Get Rich In Rising Asia by Moshin Hamid (2013); Where’d you Go, Bernadette by Maria Semple (2012); The Art of Loving by Eric Fromm; This Is How You Lose Her by Junot Diaz (2012). Thank you – we are glad you enjoy the blog and our recommendations. definitely be one of the best in its niche. Fantastic blog! Thank you for the encouragement and the suggestions. We both work many jobs besides the Book Jam, but are carving some time to devote to enhancing the Book Jam this autumn/winter. Your suggestions will help. If you have a specific site that illustrates your comments, please forward it to us. So glad you like us. We are hosted by wordpress. Good luck.